I love all genres of horror: camp, schlock, slasher, gore, psychological thrillers — you name it, i’ve probably seen it (or own it). I used to go over my friends’ house when I was a kid and we’d stay up late watching the likes of Killer Klowns from Outer Space, Nightbreed, Tremors, and Space Invaders. This was my hokey impression of horror movies until one faithful night when I was 12. I was babysitting RoamAboutSister and saw the movie The Shining was coming up on HBO. I remember the TV Guide (yes, a physical guide) description of the movie was like ‘Horror classic starring Jack Nicholson as caretaker of Overlook hotel’ or something as nondescript. 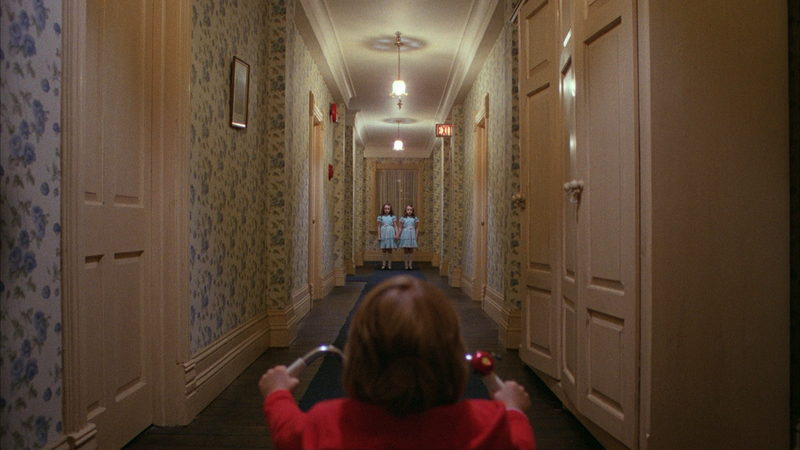 The Shining scared the bejeezus out of me as a kid, but has become my favorite horror movie of all time. I love the rush of being scared, but this movie just falls under the classics. It’s like a cozy blanket around the change of the seasons here in Ohio/US. This entry was posted in Uncategorized. Tagged american horror story, best horror characters, halloween, scariest movies, the shining. I had to turn off the first episode of AHS because of that clown! Well, I could handle the clown, but it was too violent for me and I loved the Siamese twins. Dang! Glad to see your “shining” face, Mike! That clown is terrifying. Maybe more so than Pennywise from ‘IT’. ahhhh! Yeah – AHS has always been brutally violent, but this year it’s especially gruesome. Just close your eyes during the bad parts! You as well – ha – happy halloween! The first scary movie I ever saw was Chucky when I was about 7. I wanted to seem tough and watched it with my dad. I got rid of most of my dolls after seeing it, but my dad would still hide the few I kept around the house to make me think they moved themselves. I recently rewatched it and realized it’s really not that scary, but dolls still creep me out. Chucky at 7?! Yikes. That’s early enough to put an eternal fear of dolls into anyone. I also hate/don’t trust dolls. Haha yea they’re not to be trusted! When I was in high school we were one of the first families to have a VCR (I know….just shut it). I was alone in the house while my parents were out and I watched The Exorcist for the first time. Alone, in the basement, with a butcher knife and our Murphy, our German Shepherd. I’ve never watched it again. The Shining is one of my faves and the external shots are at Timberline Lodge out here in Orygone. Maggie – you should absolutely give The Exorcist another whirl. Just, you know, not with a butcher knife near by. Hell yes! I made a point to visit Timberline when I visited your fair state. Loved it. Couldn’t get the Shining theme song out of my head for days. bwom bom bom bum bom bum baahm. Great post! Love The Shining and AHS (nothing is as scary and sinister as Jessica Lange when one of her characters is being nice). I started watching horror films when I was probably considered to be too young to do it (by age appropriate censors), but the adults I grew up with seemed to think it was okay and encouraged such viewing because they enjoyed it and since I was a child I had to watch what they were watching which worked out rather well for me. Most of the horror films were black and white oldies which were more funny than scary, a few were 70’s schlock-horror which were weird and fascinatingly so. The one film which left an impression on me was – The Blood Spattered Bride (1972) – but the impression it left had nothing to do with the graphic scenes. Most recently I saw – Calvaire (2004) – which is the only film I can think of that I couldn’t watch properly (I kept finding reasons to leave the room) because it was too harrowing. Jessica Lange is the best. She crushes it on that show. Love the oldies, the special effects are hilarious, but I’m sure they were terrifying back in the day. Hmm…The Blood Spattered Bride, huh? Looking up now – never heard of it. Never heard of Calvaire either – Maybe I’m not as big of horror as I thought! You’ve given me two ‘new’ movies to check out. Thanks very much! I’ve stayed at the Stanley Hotel in Estes Park, CO where The Shining was filmed. They play it on closed circuit 24/7. It’s a beautifully, scary place to spend the night, especially when snowfall overnight gives everything that creepy silence. Other scary movies I remember from when I was a kid where Rosemary’s Baby, Carrie (the 1976 one), and Don’t Be Afraid of the Dark, (the 1973 one). Happy Halloween, Mike. I love the Stanley Hotel, Honie – and I love all three movies you listed. Hope you had a great Halloween! Roam About! Also a fellow Shining lover, REDRUM REDRUM, and Tremors…Kevin Bacon has never sizzled so Bacon like! Another classic for me was Cujo… that movie scared the heck out of me…and made me pretty afraid of Dogs for several years…especially St. Bernards. OH and Childs Play…because my neighbor had one of those stupid My Buddy and Me dolls…which i think is what influenced the creation of Chucky. My neighbor – we will call him Randy the Monster – and I actually took the doll and burnt it in the back yard one day after school… yes we got in trouble for playing with gasoline…but the good news is the doll didn’t show back up under my bed with a knife calling me Andy and trying to cut off my face! Haha – I just saw this, Coyote. Hilarious, and knowing you, that was one hell of a bonfire. Although I think Stephen King is one of the most brilliant writers on the planet, and on a side note, one of the loveliest people, too, I cannot get through the novel IT much less the film. (There is no underlining allowed in most comments, so I feel highly egregious leaving the word IT without an underline as book titles should be underlined…but I digress). Tim Curry as a clown = creeptastic. I’ve tried watching “The Amityville Horror” film, the original, and as soon as the demonic voice whispered to the priest, “Get out”, I did. I refuse to watch the rest of that film. I will never get any more sleep for the rest of my life if I do. I love suspense-filled, “in-my-mind” horror. My mind is always far worse than any on-screen graphic and/or violent scenes. These are a touch of my favourite horror films. The first film is my favourite, but the rest are in no particular order. All films I write are the originals only. 1. 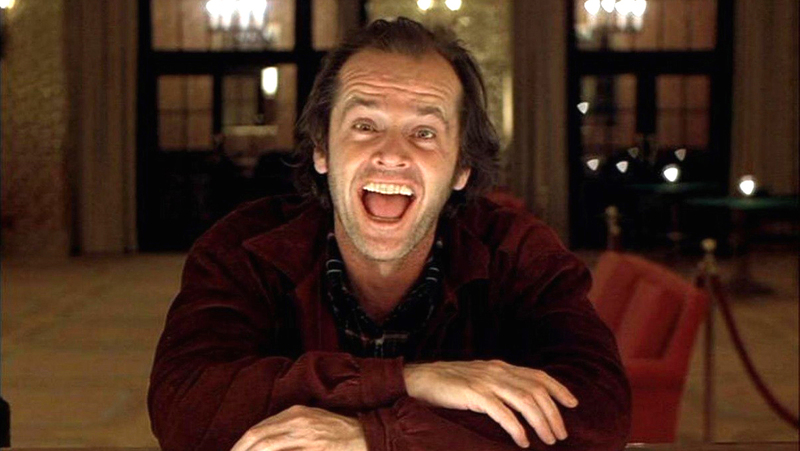 “The Shining” – This film is the most brilliant work of horror ever and quite possibly one of the best films ever. I concur with your fear and lack of sleep at the age of 12. At any age, this film instills fear of grand hotels, snow, topiaries, all green shrubs, really big smiles with big, white teeth, any letters painted in red, and axes, among other many other things. Some of these films I will never see again because they are absolutely terrifying. Happy ancient Celtic holiday of Samhain. I own every movie you listed, except ‘Looking for Mr. Goodbar”. Not familiar with that one but certainly interested. 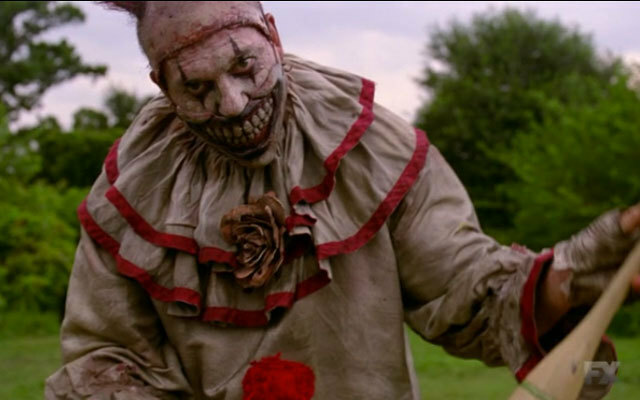 Tim Curry as a clown…ugh. Horror movies no. Under zero circumstances. I find they are only useful if I suddenly feel like staying awake all night long for days at a time. I actually only own so much clothing because it means when I am checking under the bed etc for baddies I know there can’t be any in the wardrobe because they wouldn’t fit. It’s a time saver plus everyone knows while you are checking in there they are moving from their other hiding place to back under your bed where you now think they can’t be because you already checked. Again – horror movies no. Yessir to both. And Hocus Pocus. First scary movie I watched was Urban Legends. I believe I was in 6th grade, at a birthday sleepover. To this day, I check my back seat every. single. time. I get into my car at night, and I never, ever, ever stop at a gas station when it’s dark and raining. Hey, Erin! 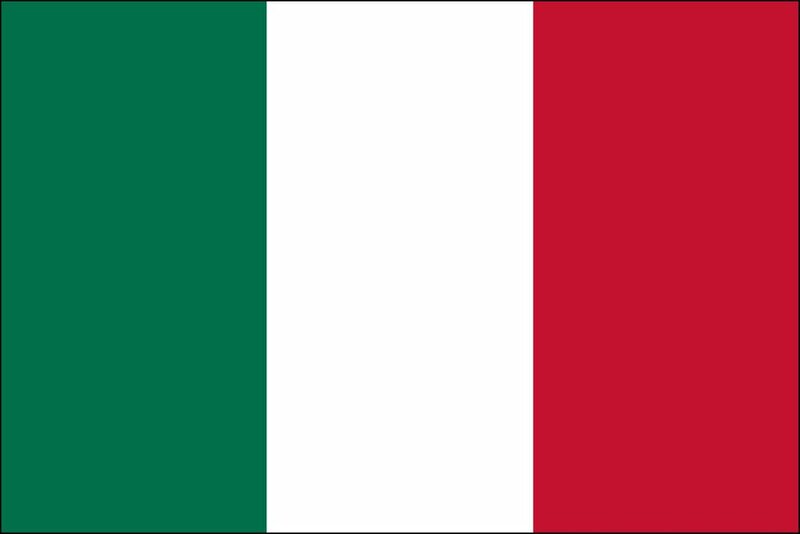 Long time – how have you been? Ha! I do the same thing to check for Michael Myers – and I don’t blame you about the gas station thing…guaranteed slaughter. Hey yourself! I see I have quite some catching up to do – how are things with you? I’m such a baby, I can’t even watch Criminal Minds, much less a real horror movie. I change the tv channel when the previews come on! The only scary movie that didn’t cause me to sleep with all the lights on was Texas Chainsaw Massacre, because really – that movie is too absurd. Things are going well. Haven’t been posting all that much – have you been traveling much? Haha – really? Like the original Texas Chainsaw Massacre? That movie scared the crap out of me, and I like horror. I think it would have been more scared if I ever found myself in Texas, in a field. But it’s hard to imagine someone running around DC with a chainsaw and getting very far. I guess I’m not very imaginative when it comes to translating horror movies to real life, haha. Excellent trip! How’d you like Reykjavik? Looking forward to reading. That must have been like a third or fourth rendition of TCMassacre. The first one was frightening. I love a good scary movie! When I was a kid, the scariest movie I recall was “Phantasm.” Cheesy now by today’s standards, but still creeps me out. The “Paranormal Activity” movies I and II give me a good scare as well. For those that love a good scare, I strongly recommend going to Universal Horror Nights at Universal Studios Hollywood during October sometime. Frightfully Fun! Do you want me visit? Where is this located? Can I stay for free?